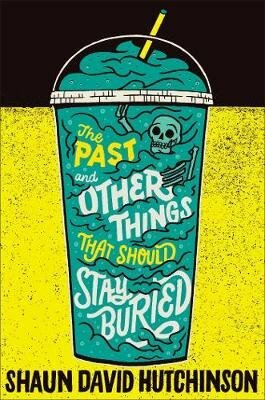 Six Feet Under meets Pushing Daisies in this quirky, heartfelt story about two teens who are granted extra time to resolve what was left unfinished after one of them suddenly dies. A good friend will bury your body, a best friend will dig you back up. Dino doesn't mind spending time with the dead. His parents own a funeral home, and death is literally the family business. He's just not used to them talking back. Until Dino's ex-best friend July dies suddenly--and then comes back to life. Except not exactly. Somehow July is not quite alive, and not quite dead. As Dino and July attempt to figure out what's happening, they must also confront why and how their friendship ended so badly, and what they have left to understand about themselves, each other, and all those grand mysteries of life. Critically acclaimed author Shaun Hutchinson delivers another wholly unique novel blending the real and surreal while reminding all of us what it is to love someone through and around our faults.